Casement windows follow an early style of making windows used during the medieval times in England. It is usually made of oak timber and six panes of glass. Occasionally, Gothic arches and smaller glass were used for a better look. Improved glass-making and the discovery and production of newer, sturdier materials led to the refinement of casement windows production, providing modern homeowners of simple yet beautiful window style that remains popular today. 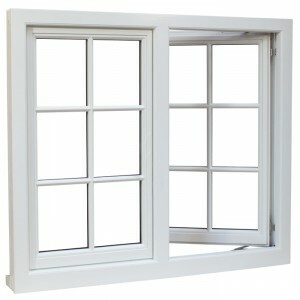 Casement windows have one or more hinges so that they open or close very much like a door. Single windows are either hinged at the left or at the right side of the frame while double windows are pivoted on both sides. Those with hinges at the top and bottom side are called awning windows and hoppers, respectively. This type of window opens outwardly, although not always. A crank, lever, or cam handle usually serves to open the window. To secure it while open, the window needs a crank, stay or friction hinge. One of the advantages of using a casement window is that can be fully opened and therefore, maximizes the viewing area. A second advantage is that it provides good ventilation to the home. Even when coming from odd angles, the wind may be funneled inside the house through the window’s doors. A third benefit is that it is harder to break into this type of windows. The lock, usually hook-shaped, is inaccessible from the outside and is embedded within the frame. Finally, they come in many varieties and designs that can enhance the beauty of the home or building. Many factors need to be considered when opting for casement windows. Aside from the quality of the materials and the price, the style of the home must be put to thought. This is not so much of a big deal since this type of window has designs that are both very versatile and energy-efficient. A bigger challenge would be the installation. Do-it-yourself windows are available in the nearest hardware store for creative and enthusiastic homeowners. For those who can’t install the windows on their own, asking for professional help would be just the ticket. The windows Andersen produce open outward and are hinged on one side. Models of this brand include the 200/400 Series, the A-Series, and the Architectural Series. Each of these models features a High-Performance, Low-E4 glass that makes it energy-efficient. Each has rich natural wood interior. This brand opens outward and features a one hinged sash. Models include the Encompass, the Impervia, the ProLine, the Designer Series and the Architect Series. The models offer quality craftsmanship, energy efficiency, many interior and exterior palette finishes. The CertainTeed brand offers two types: the Cranking Casement Windows, and the Push-Out Casement Windows. Each of these two types has three models, the BrynMawr, the Devin 2 Replacement, and the Newcastle three. Other features are Satin Taupe folding handle, One-lite Low E≤ with argon insulating glass and wooden interiors. What is the average Cost Of Casement Windows? Much depends on the size and style of the window but generally, a plain, unglazed window frame without locks or fastenings should cost around $150. With the glass, locks or customized fasteners added, the window can cost up to $200. The fenestration for a house of 10 windows should cost around $2,000, the cost of installation another $1,000, total $3,000. Again, much depends on the size and style of window, but an unglazed frame without finish, locks or other accessories should cost in the region of $200. A stained window, together with locks and glazing, brings the cost to $600. This means the full fenestration of the house is $6,000, plus $2,000 for installation, total $8,000. A softwood frame without glazing or finish will cost around $600, and glazed it will cost $700. A glazed oak frame with fastenings could cost up to $1,400. Using the same formula, the Cost of Casement Windows for a house fenestrated in oak will be around $14,000, plus $7,000 installation, total $21,000. See How Much You Can Save On Casement Windows Today!